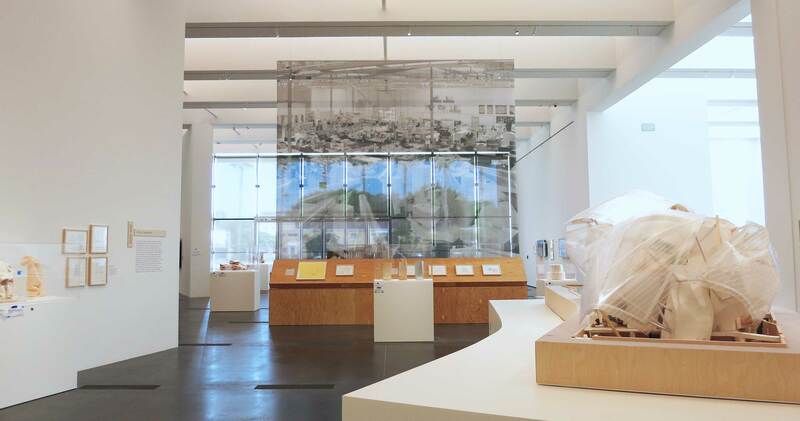 Los Angeles County Museum of Art presents Frank Gehry, a retrospective that focuses on the work of the world renowned architect. It traces the career from the early 1960s to the more recent digital design that pushes the boundaries of fabrication. The show was organized by the Centre Pompidou and the Musée National d’Art Moderne in Paris. 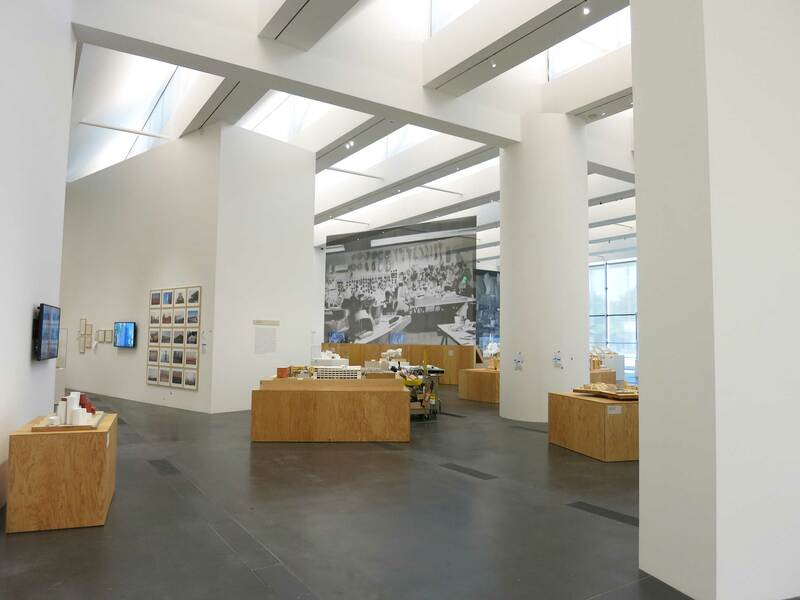 The work on display includes more than 200 drawings, sixty-six models, and over sixty projects. The exhibition is divided into six themes: De-composition / Segmentation (1965-80), Composition / Assemblage (1980 – 90), Interaction / Fusion (1990 – 2000), Conflict / Tension (1990 – 2000), Flux / Continuity (2000 – 2010), and Unity / Singularity (2000 – 15). 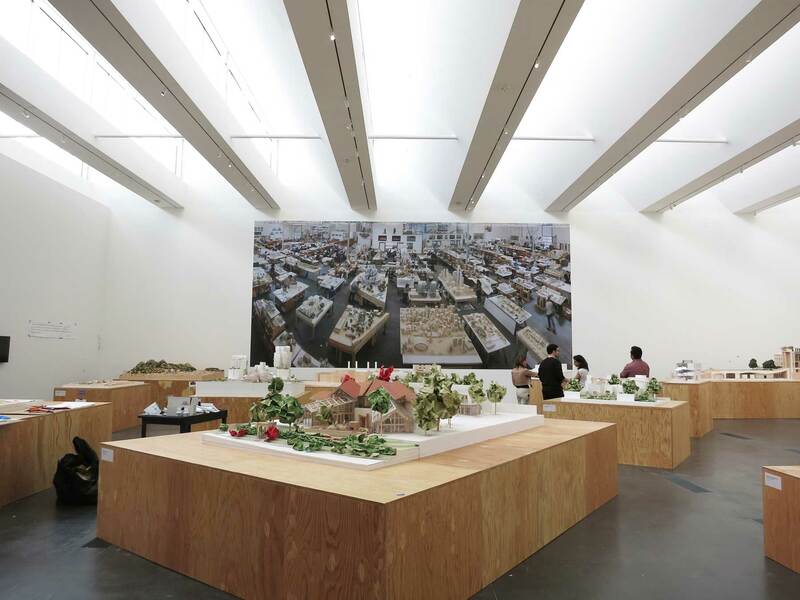 Although, the main concept that runs throughout the exhibition is urbanism which includes shopping centers, industrial sites and city centers. In the 1980s Gehry teamed up with Dassault Systémes to transform their software to handle the complexity of his forms. At that time two-dimensional construction could not handle them. Their collaboration was CATIA Digital Project which is now used all over the world. It helps to bridge a gap of communication between architects and contractors. Now it is easier to estimate costs more accurately. There are a few highlights not to miss. 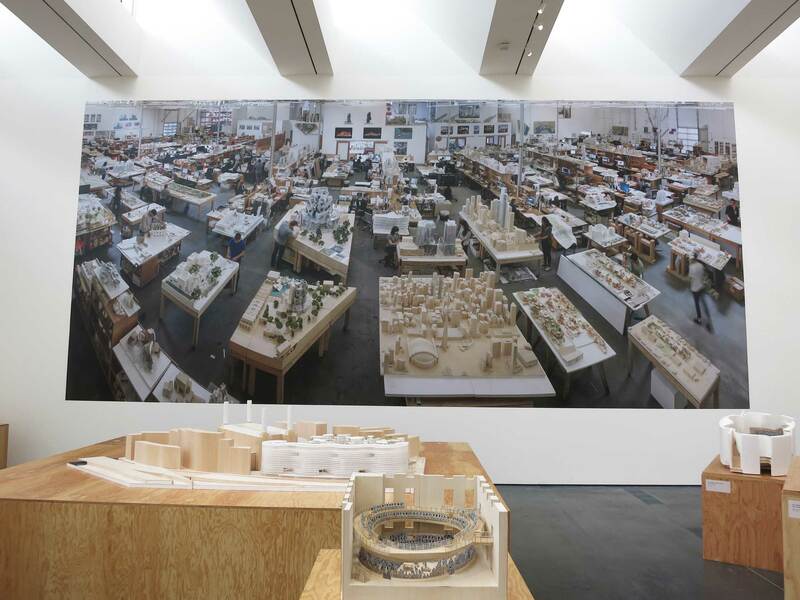 This includes the Walt Disney Concert Hall, Foundation Louis Vuitton, Lewis Residence, and Gehry Residence. Olson Visual created multiple graphics for the exhibition. They completed a large mesh graphic, a mural graphic, didactics, and much more. This show is not to be missed and runs until March 20th.